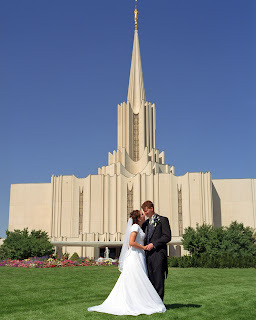 We met on a double date in the fall of 2000, shortly after Ryan got home from his LDS mission. We were on a double date to see my favorite A capella group InsideOut. Ryan was with my friend, and I was with another guy. I was not impressed with Ryan, as he was more than an hour late to pick us up for the concert. The concert seats were first come first serve, and we wanted to go a couple hours early, but Ryan decided we would get just as good of seats if we were only an hour or so early. (To his credit, we still did have decent seats...just not front row!) He was trying to joke around with me and I asked if he was insane. Apparently he found that endearing, because he asked my date if they could switch dates!! His charm eventually wore me down, and I found him endearing. We dated off and on for about a year and a half. 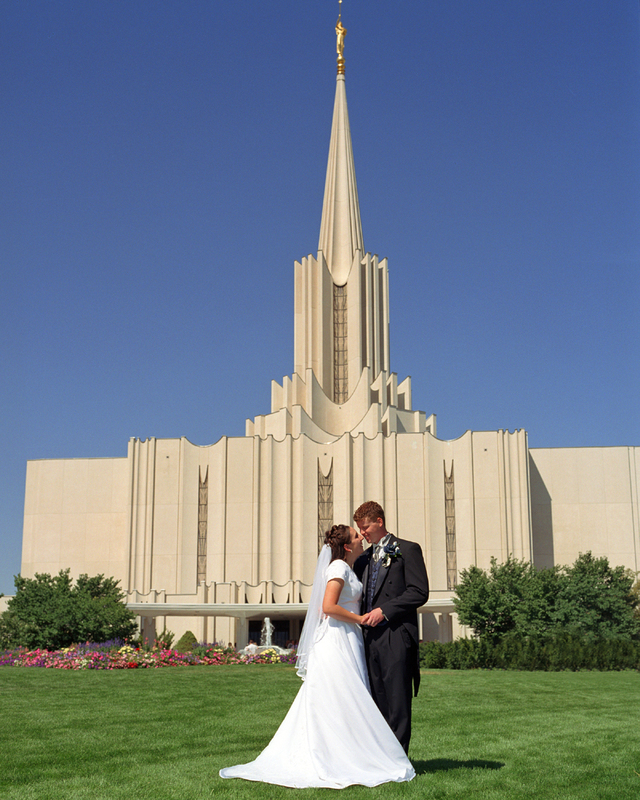 We were married for time and all eternity August 10, 2002 in the Jordan River LDS Temple. We love to just spend time together, no matter what we are doing. Late at night, you can usually find us sitting in bed with our computers watching our favorite shows. The shows we love to watch together are The Office, Survivor, Modern Family, Big Bang Theory, and Rules of Engagement. We love to hang out with friends and family and play games. Our current favorites are PowerGrid, Ticket to Ride and Cities and Knights (an expansion of Settlers of Catan). We are a very relaxed family. We love to just be together no matter if we are going to the museum, out to dinner or just hanging out at home. We have regular "Family Movie Nights" where we order pizza and have a picnic on the family room floor while watching a favorite movie. We value family time, whether it be just our little family, or our extended family. Ryan's family lives very close and we do a lot with them on a regular basis. My family lives on a farm in Colorado and we visit them several times a year. We enjoy riding horses and playing on their 40 acres. We spend the 4th of July each year with my family. They usually come stay with us and we plan fun activities around our home. One tradition we have is a "Red, White and Blue" breakfast on the 4th (a tradition that I picked up living with my aunt and uncle). We have pancakes, waffles or crepes with blueberries, strawberries and whipped cream. We spend Labor Day with Ryan's family every year at Swiss Days in Midway, UT. Ryan's parents have a cabin in Midway and we all spend the weekend at the cabin playing games, talking and eating. Making memories is an important thing to both of us. One of the traditions that we have tried to embrace is yearly family vacations. Every other year we try to take a BIG vacation (Sea World, DisneyWorld, etc) and the other years, we do a sort of "stay-cation". It is so fun to just get away from all the daily distractions and be together and play together!! We live in an awesome, family friendly neighborhood!! There are a TON of young kids in the neighborhood, parks within walking distance and a lot of fun activities within driving distance. I try to take Hailey on a weekly excursion to places like the aquarium, the dinosaur museum, the animal farm, the zoo, a splash park, or water parks. We try to get together with our friends in the neighborhood fairly often and have regular play-dates. In the summer, we have a group of mom's and kids that get together for "Water Wednesday's". We pull out slip and slide's , pools and sprinklers and let the kids play their little hearts out while the mom's enjoy chatting. 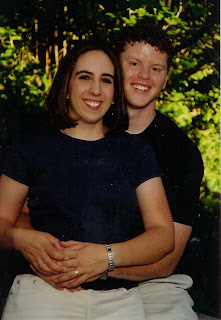 We have struggled with infertility much of our married life. I suffer from a hormonal condition known as PCOS making achieving and sustaining a pregnancy difficult. We were blessed with our first biological child in May of 2006. Hailey was nothing short of our own personal miracle. 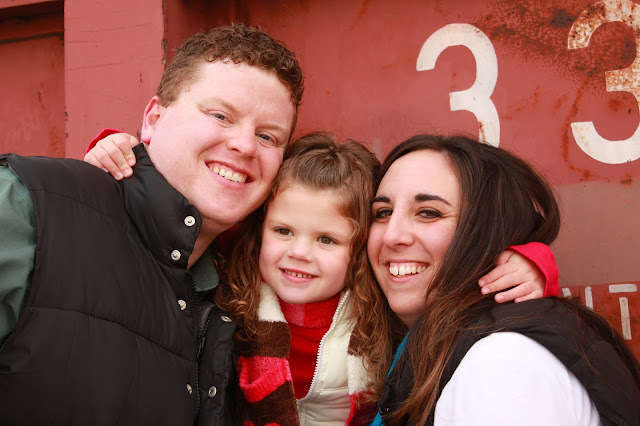 Since Hailey turned 2, we have been struggling to add to our family. After much thought and prayer, we have been led down the road of adoption. We have seen adoption bless the lives of many of our close friends and look forward to its miracles in our lives as well.